We do watch what we eat, count the calories and portion sizes and even worried about the sugar content. We take care of our bodies, bones, and muscles, but what about our skin. We often take our skin for granted and use anything on it. We realize when it’s too late. Our skin protects us from the outside environment and regulates body temperature apart from balancing fluid levels in the body. We must ensure to take proper care of it and use cruelty free skin care products so it is healthy and glowing all the time. A vegan skin care routine can do it all for you. A lot of people make use of makeup or chemical based products to take care of the skin, but this does more harm than good. One should always use natural methods to restore and maintain the beauty of the skin. Synthetic products are high in chemical ingredients and low in antioxidants, vitamins and natural oils. You should only use plant-based products on your skin that are 100 percent natural and organic. Here are some easy and natural ways to restore the beauty of your skin. Drink a lot of water: If you are dehydrated your body will function in a less optimal way. It will take a toll on your skin and if you do not drink enough water you will see its effects. Your skin will look flaky, saggy, loose and dull. Drinking 8 to9 glasses of water a day is very important. Antioxidants should be included in your diet: You should eat foods that are best or rich in antioxidants as these have the ability to fight against aging and diseases. It will reduce inflammation and damage. Inflammation can cause wrinkles. Some of the best sources of antioxidants are blueberries, pomegranates, spinach, nuts, seeds, raspberries, organic green tea, dark chocolate, etc. Eat organic foods: You must eat natural organic foods as it curtails aging. Have foods that are rich in different nutrients. It is said eating a rainbow-colored plate daily can work wonders on your skin. Have the widest variety of antioxidants that can fight off the different types of free radicals. Limit the sun exposure: You should limit sun exposure as well. Sun produces Vitamin D and it is necessary for the skin, but too much exposure can damage your skin. Always wear your sunglasses in scorching heat and make use of titanium or zinc sunscreen. Vegan skin care products: Opt for vegan beauty products that are natural and excellent for all skin types. Vegan beauty products are cruelty-free, are all natural and make your skin shine. They are safe and can revive or repair your skin from all the damage. As these products are not tested on animals, you are also buying these products for a good cause. It will keep your skin soft and beautiful. It calms sensitive and irritated skin. All the vegan beauty products are natural and they moisturize, hydrate, heal and restore the beauty of your skin. There are no side effects of using these vegan-friendly skin care products. Avoid sugar: Sugar is not good for your skin. It damages the elastin and collagen which are responsible for wrinkles. Engage in activities that relieve stress: You must be active throughout the day, but it is very important to do meditation, exercise or some sort of activity that can relieve stress. Also, talk to your closed ones to relieve from stress. Stay happy and smiling. It will keep your skin beautiful and healthy at all times. 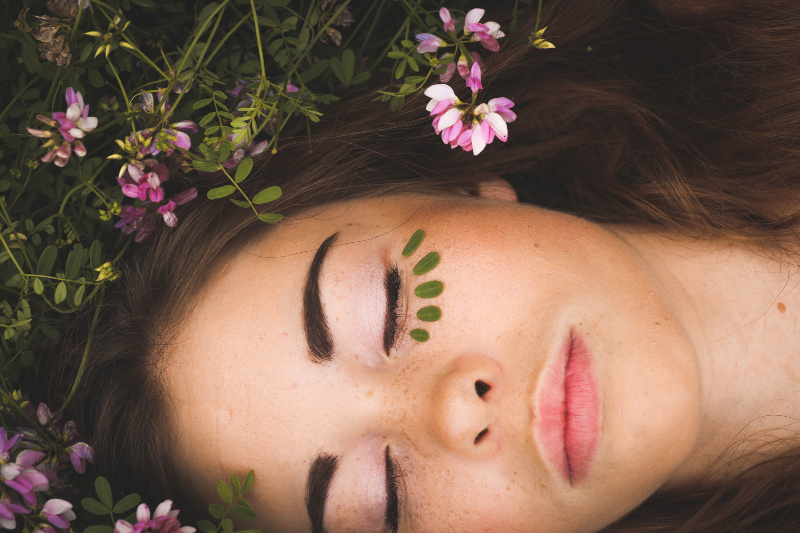 So, these are some natural ways to keep your skin healthy and beautiful, but the best way to restore and maintain your skin naturally is by using a cruelty-free product which will repair and rejuvenate your skin. You should choose a vegan lifestyle to keep your body an d skin healthy. Stick to natural methods of improving your skin. Moreover, nourish your skin with the best vegan products that will help you maintain the beauty of your skin in a supreme way.